Product prices and availability are accurate as of 2019-04-18 11:34:15 EDT and are subject to change. Any price and availability information displayed on http://www.amazon.com/ at the time of purchase will apply to the purchase of this product. 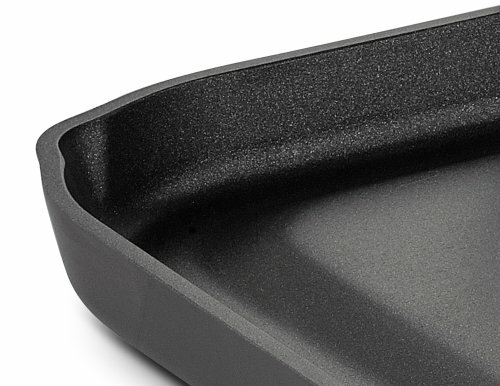 Large enough to feed a family, the All-Clad Hard Anodized Non Stick Grande Griddle makes it easy to surprise them with homemade pancakes, grilled cheese sandwiches, and more! 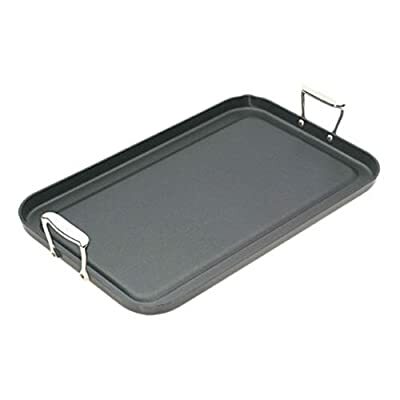 Featuring a hard-anodized aluminum exterior that's resistant to scratching, chipping, and peeling, this griddle also has an aluminum core which ensures even heating and cooking. Its stay-cool stainless steel handles are riveted to the griddle for extra strength so you don't have to worry about them coming loose. 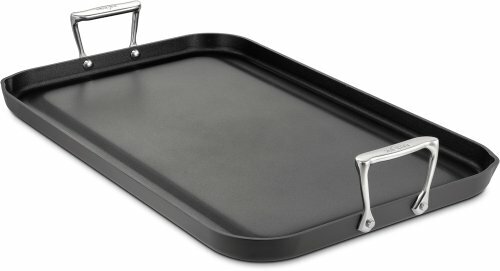 Its nonstick design makes clean-up easy so you can spend more time with your family and less time in the kitchen. About All-Clad Founded in 1971 in Canonsburg, Pennsylvania, All-Clad Metalcrafters produces the world's finest cookware in its Southwestern Pennsylvania rolling mill, using the same revolutionary processes that they introduced forty years ago. Today, All-Clad is the only bonded cookware that's handcrafted by American craftsmen using American-made metals. Originally founded to meet the highest standards of professional chefs, All-Clad has become the premier choice of cookware enthusiasts of all experience levels, from world-class chefs to passionate home cooks in everyday American kitchens. The unsurpassed quality and performance of All-Clad cookware is derived from its innovative roll bonding process, which uses a proprietary recipe of metals. Cladding is applied not just to the bottom, but also up the sides of each All-Clad cooking vessel, providing outstanding heat distribution and reliable cooking results. All-Clad cookware is hand-inspected at every stage of the manufacturing process and is famous for the uncompromising quality that's evident in every detail, from its impeccable balance in your hand to its meticulous hand-finishing. Features a hard-anodized aluminum exterior. Stainless steel interior with an aluminum core. 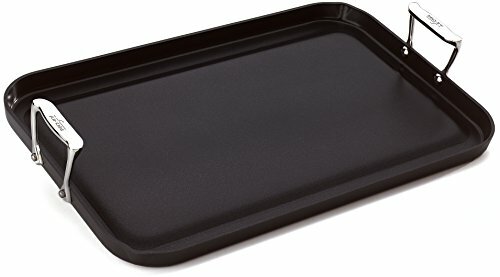 Non-stick design for easy cooking and cleaning. Features stainless steel, stay-cool handles. Aluminum core ensures even heating.